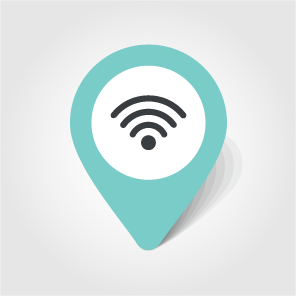 According to Forbes Magazine, there are two top-tier WiFi hotspots on the market, and they are both impressive with respect to quality features and price. Daniel Schwartz, contributor to FathomAway’s trip planning website, tested both when traveling to Sydney, Singapore, and Hanoi. He advised both devices are great options for international WiFi. Skyroam Solis works by bouncing users around their network of over 200 nodes and delivering 4G LTE Internet in 120 countries. You can connect up to five devices simultaneously, and the battery lasts an impressive sixteen straight hours. The unit costs $149.99, but you will also pay a $9/day fee for unlimited WiFi. You can also choose to rent the device instead of buying it outright. Roaming Man was big in Asia before migrating to the American market. It offers unlimited 4G WiFi in over 100 countries for $9.99 a day. Roaming Man fits nicely in your pocket and is shaped like a cell phone for portability. However, you cannot purchase the device; you must rent it.